Opened in 2016, the Best Western Plus hotel features both extended stay suites and standard rooms. 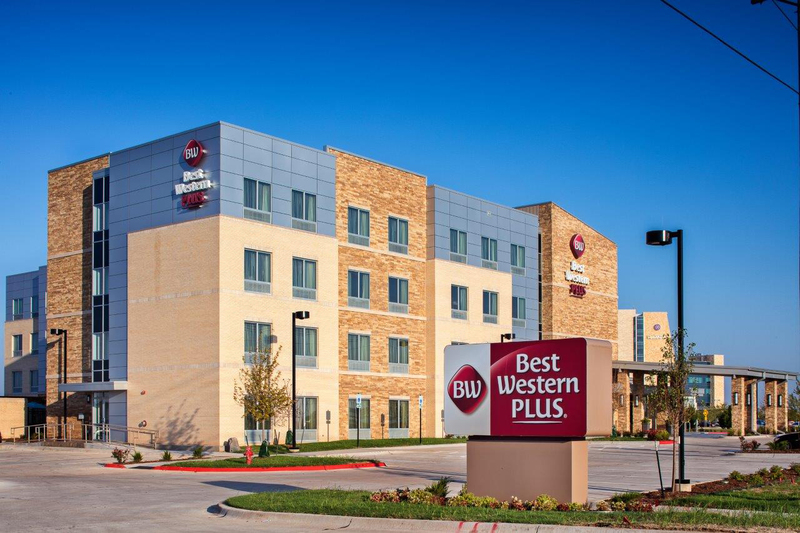 Conveniently located in Norman just off of Interstate 35 less than 10 miles from the University of Oklahoma, Gaylord Family Memorial Stadium and the Lloyd Noble Center, the Best Western Plus Norman is only a short 20-minute drive from Oklahoma City. The convenient location is midway between Wichita and Dallas. Guests who visit Best Western Plus Norman can expect to experience the warm hospitality of the hotel staff. With an outdoor heated pool and patio for grilling, guests do not have to go far to relax. The deluxe rooms and extended stay suites are spacious, quiet and ideal for working or napping. A complimentary, full hot breakfast buffet greets guests each morning and ensures a great start to the day.